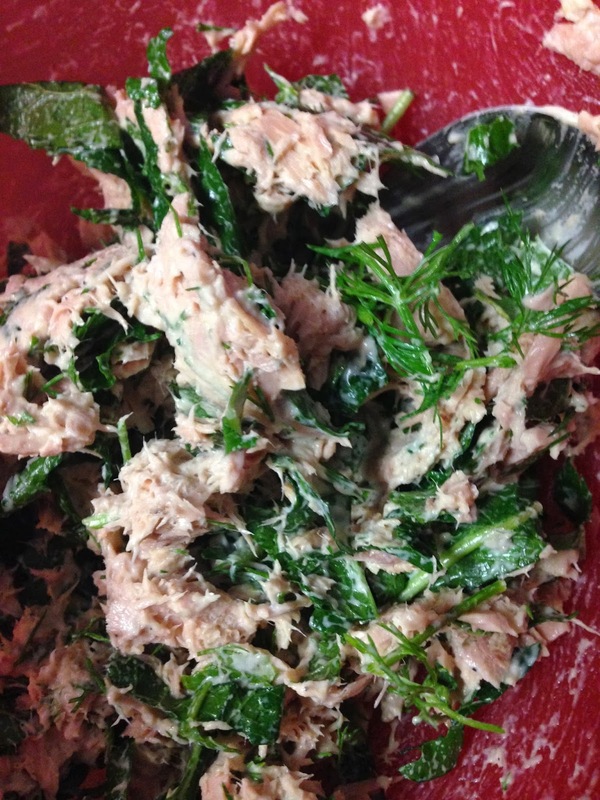 I really like to include tuna in recipes because it is easily accessible (can be stored in the pantry), is inexpensive, and makes it easy to include a serving of fish in my week. For anyone who is gluten-free, this is a great way to have a tuna melt as there is no bread in the recipe. I often make this when I'm looking to eat a bit lighter, which usually occurs right after Christmas or as the weather starts to warm up and I realize that the over-sized sweaters are going to have to be retired soon. Seeing how it's March and the temperature this weekend was below -40 degrees celsius, I guess I also make it when I'm looking for something quick and easy. 1. Preheat the oven to 500 degrees Fahrenheit. 2. 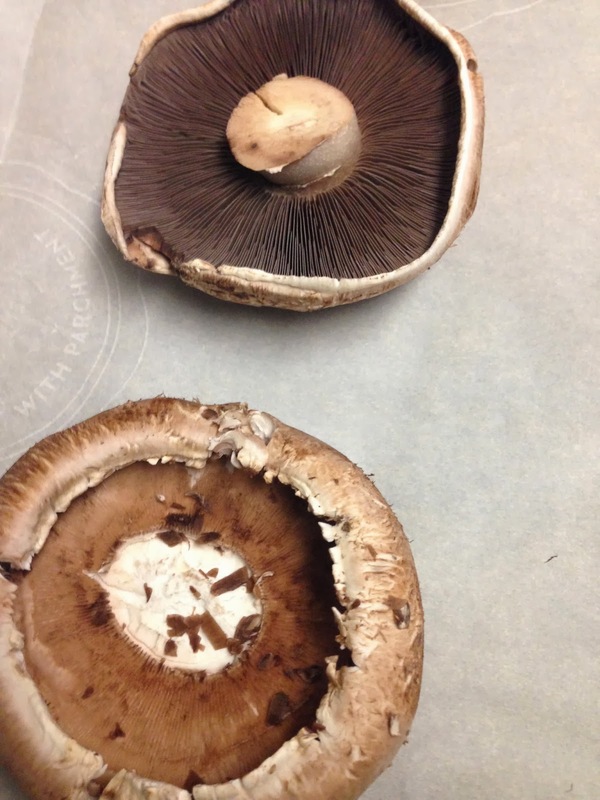 Take out the stem of the mushrooms, and use a spoon to scrape out the gills. 3. Place the mushrooms on a baking sheet and brush with oil. Bake for 10 minutes, turning halfway through. 4. While the mushrooms are baking, in a medium-sized bowl, mix together tuna, mayo, dijon, dill, kale, salt, and pepper. 5. 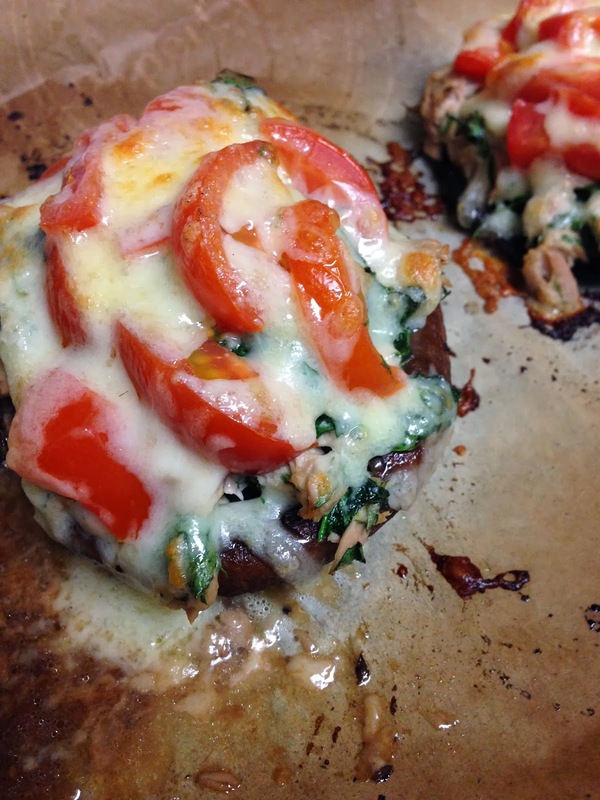 When the mushrooms are tender, fill each cap with the tuna mixture and top with tomatoes and cheese. 6. Broil for about 5 minutes or until the cheese is brown and bubbling. Enjoy! 1. 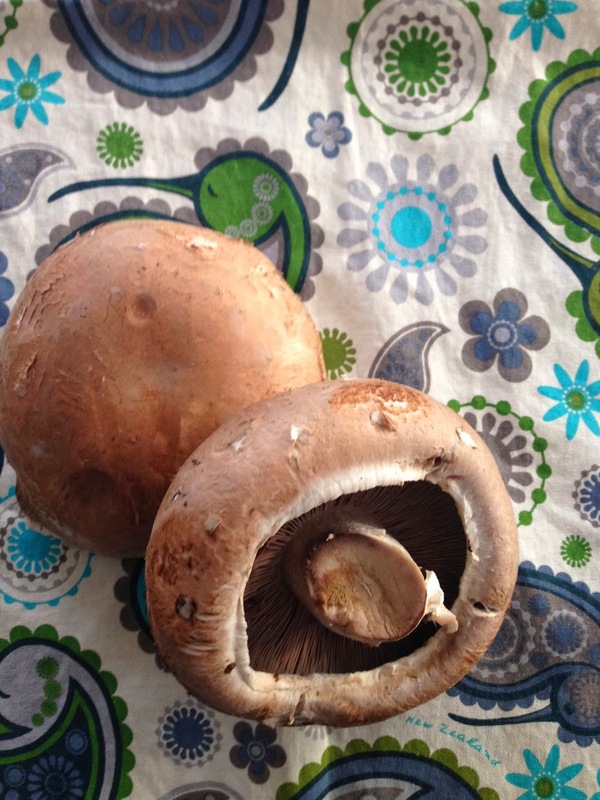 Portobello mushrooms are the really big ones. They can now be found in all grocery stores. 2. Some tunas are more pungent than others. I like the light taste of light tuna. 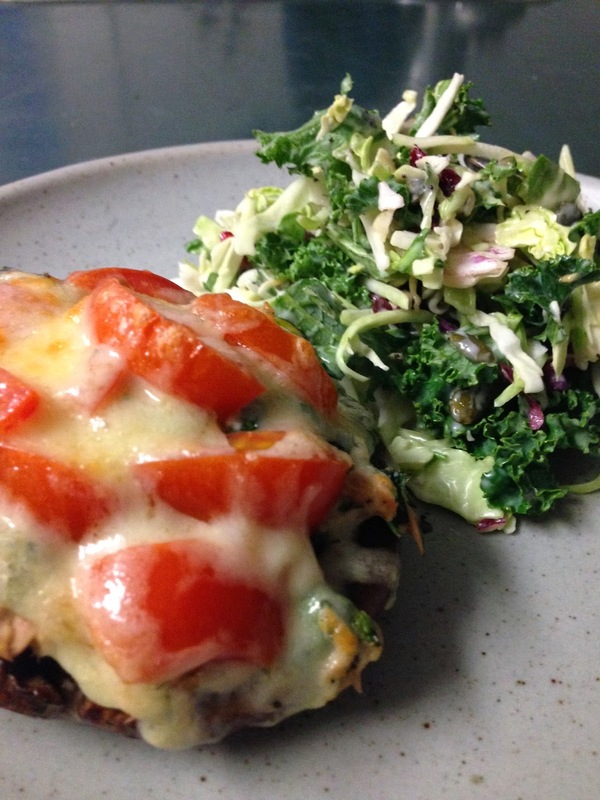 These tuna melts are great served with salad.